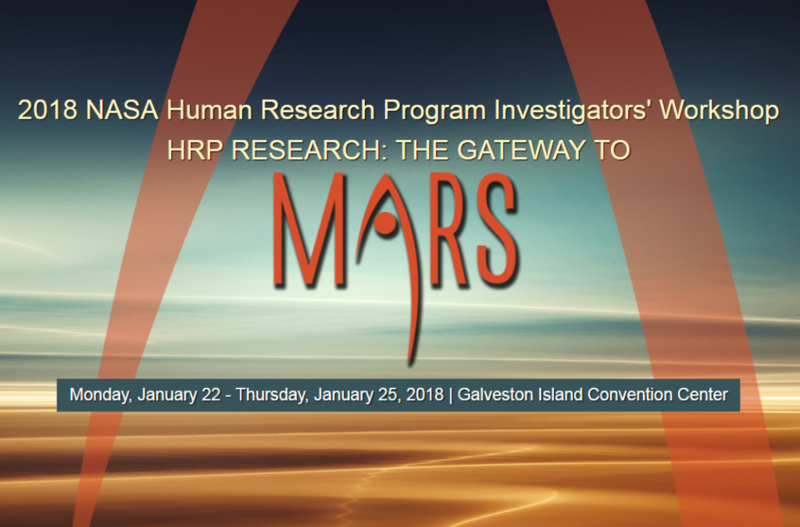 Arthoventions CEO, Eric Hoffman, and CMO, Dr. Richard Meehan, will be attending the 2018 NASA Human Research Program (HRP) Investigator’s Workshop January 22-25 in Galveston, TX. The workshop is the annual meeting for NASA-funded investigators intended to provide an opportunity for multi-disciplinary interaction and collaboration, and this year’s event is focused on the journey to Mars. Arthroventions’ work interfaces ideally with NASA’s vision by researching musculoskeletal and joint issues so that long-term space flight is possible. Dr. Meehan will be presenting an abstract to study biomarkers of cartilage degradation due to arthritis and the association with microgravity. Many view Osteoarthritis (OA) as a disease that results from wear and tear of the cartilage in the joints. While that is true, OA can also arise in as little as 7 weeks from insufficient exercise and use (also known as loading of the joint). While in space, astronauts experience microgravity, which makes it difficult to load their joints properly. In order to preserve the musculoskeletal system during long-term space flight, it is critical to understand the disease mechanism occurring in the synovial fluid of the joint in order to develop a solution to prevent joint degradation in space. Check out the event details here for more information. This entry was posted in News & Blog and tagged #NASA, #Space, #JointCare, Mars, ISS, Cartilage. Bookmark the permalink.